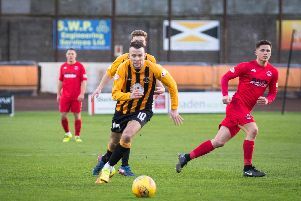 Gary Phillips, Jamie Todd and John Neill have left Berwick Rangers by mutual consent. The Borderers confirmed this morning in a statement that the trio would leave the club, to free up some money to bring other players to Shielfield Park. Rangers boss Johnny Harvey had previously confirmed that players would be leaving, but the experienced duo of Gary Phillips, signed from Arbroath in 2017, and John Neill are two of the first to leave. 24-year-old Jamie Todd has struggled for game time and will also spend January searching for another club. In the statement, Harvey was quoted saying: "I’d like to thank Gary, Jamie and John for their contribution to the club, and wish them well. "It’s been pretty apparent to me, the board and our fans that we need to make some changes at the club going forward for this season and next, and inevitably that means players leaving to create space for new faces. 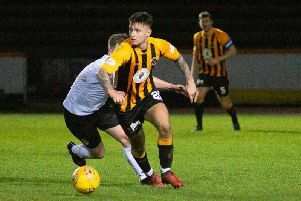 Berwick have also signed Euan Valentine and Matthew Knox, on loan from Raith Rovers and Livingston respectively, this January. Saturday gives another huge task for Harvey's side, as they travel to title-chasing Peterhead.